Main Street, a place we, as children, would go to on Saturdays aboard bicycles that nearly flew as we pedaled down the dusty city streets towards our destination. I have been looking for this print. Was surprised to note that it is listed with Placerville as its location. This is of Auburn, California. It was commissioned by the city for our centennial. 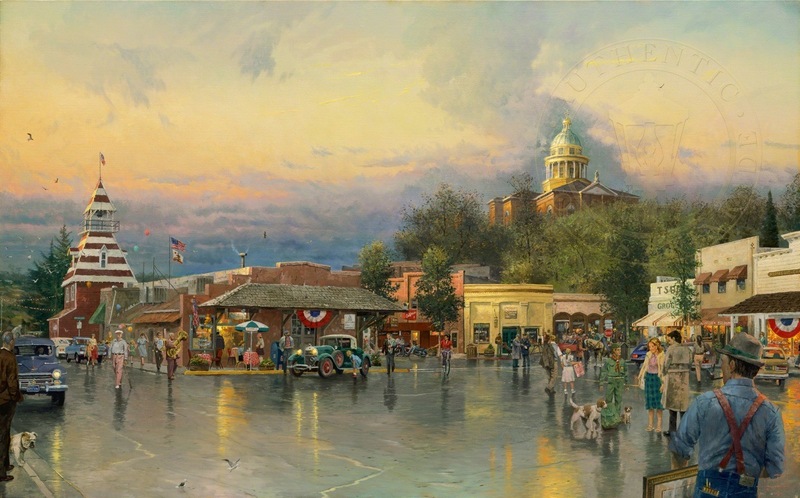 The original is hanging in the lobby of the courthouse that is in the painting. 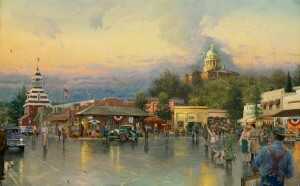 I live in Auburn and just saw the painting again this summer, and see this scene almost every day. Please update your info. Thank you. Karen, you are absolutely correct! Thank you for alerting us to this, and thank you for being a fan!